Power of Bugs: Five Eco-Warrior Organisms That Can Save the Environment! But as the world today struggles to find significant solutions to the environmental adversities of water pollution, sewage treatment, waste management and toxic pesticide infested food, some experts are proving the unique role these tiny agents of nature can play to ease its environmental woes. Did you know about the existence of worms who are capable of eating plastic 1400 times faster than other organisms? Or water hyacinths that are capable of purifying sewage water? 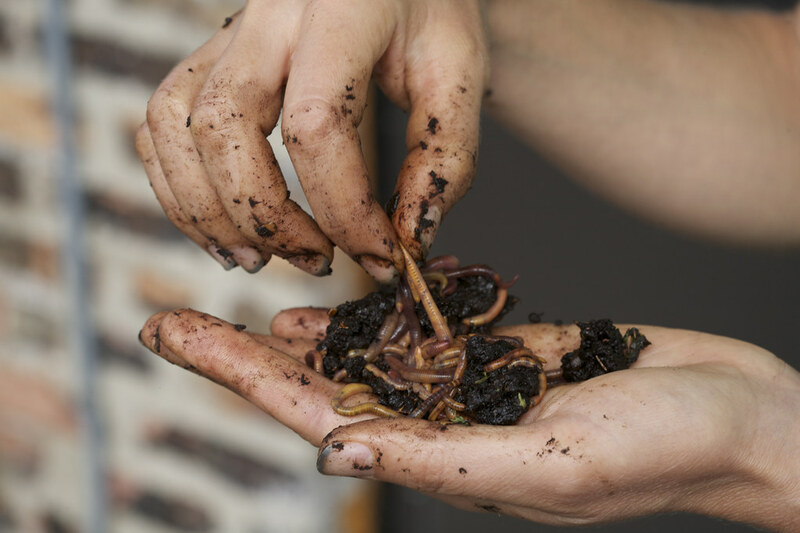 For the longest time, vermiculture has been underrated and thought of as useful only for agriculture. These experts are making heads turn with their unconventional methods of using vermiculture to harness the potential of eco-warrior worms. Here’s a list of five such eco-warrior worms that experts are studying and breeding, the ‘environment-saving’ potential of which, will blow your mind! These tiny worms, which are basically the larvae form of the darkling beetle, can feed and survive on a diet of Styrofoam and other forms of polystyrene. In fact, microorganisms present in the mealworm’s guts biodegrade the plastic, which could be the potential solution to the plastic problem. These mealworms on a steady diet of Styrofoam were just as healthy as others on a normal diet. During lab experiments over 100 mealworms ate between 34 and 39 milligrams of Styrofoam – about the weight of a small pill – per day and converted half of the Styrofoam into carbon dioxide. A bulk of the remaining plastic in their bodies is excreted as biodegraded fragments that look similar to tiny rabbit droppings within 24 hours. These droppings are safe to use as soil for crops too. These worms are commonly found in beehives and also used as fishing bait. Research proves that the waxworm could eat its way through polyethene, used to make plastic bags and water bottles, 1,400 times faster than other organisms. The discovery of the waxworm’s power was somewhat an accident. When biologist and amateur beekeeper Federica Bertocchini was cleaning her hives, she found these worms inside and decided to keep them separately in a plastic bag. She was shocked to observe sometime later that the plastic bag was full of holes. Unsure if the worms caused the plastic to degrade, she consulted other researchers who in turn repeated the exercise in a lab setting, letting waxworms feed on polyethene bags. It was a success. Mycelium, which basically refers to mushroom roots, can successfully break down biodegradable waste to produce net-like white threads. A New York-based company, Ecovative, is using this material for packaging, as an alternative to plastic. The material is not only light-weight but fireproof too. The process the company follows includes receiving agricultural waste purchased from regional farmers, cleaning it out and introducing it to mycelium. This mixture is then placed in bags, where mycelium is allowed to grow for a few days. In the process, the mycelium digests the agricultural waste and forms a matrix of white fibers along the way. Each particle is then coated in mycelium and broken into loose particles again. Loose particles are placed in a mould for 3–5 days to grow into a durable material that is later used for packaging. Black Soldier Flies can successfully reduce organic waste by 90 per cent of its volume. These insects can later also be harvested as fish bait and to feed poultry. The Jakkur campus of Ashoka Trust for Research in Ecology and the Environment (ATREE) already practices BSF-led composting, reports Bangalore Mirror. These BSFs can eat over 15 kg of food waste per day. Water hyacinth, in addition to purifying sewage water, when harvested, can produce biogas. While it has a bad reputation as the world’s worst aquatic weed, capable of starving a lake of sunlight, oxygen, fish and submerged plants, its power to purify wastewater can be harnessed under controlled conditions. A hybrid plant from the Pontederiaceae family, when planted in a wastewater pond, it grows rapidly. While its roots grow 10-30 cm below the water surface, its stem and leaves rise and cover the water body’s surface. This plant grows by feeding on nutrients like phosphorus and nitrogen from the wastewater. Its fine roots successfully trap suspended solids, and also help the growth of microorganisms that feed off the organic materials present in the wastewater, turning them into a simple inorganic material. This results in the purification of water which can be released directly into rivers or even used for drinking or domestic purposes after additional disinfection processes.